Diana Ross' family is taking over the Instagram, which only proves that a talent to perform runs in the blood. The singer’s daughter, an actress and a comedian Tracee Ellis Ross, who is best known for portraying Dr. Rainbow in Black-ish, took to social media to demonstrate that her family can dance. READ ALSO: Tracee Ellis Ross On Aging: "At 45, I Feel The Sexiest And The Most Beautiful I’ve Ever Felt"
She posted a clip showing the Rosses busting some moves to Diana’s hit song I’m Coming Out. The video starts with Tracee trying to do the floss dance move. Even though she fails at it, it looks like she is having fun anyway as she captured laughing at the camera. The clip also features Evan Ross copying Michael Jackson, which looks very imressive! Who knew he could dance like that! The caption simply said: "I love my family." As soon as Tracee uploaded the video, her fans and followers took the comment section by storm with the words of praise. Diana Ross has been married twice, she has five children and five grandchildren, all of them were seen in the video. 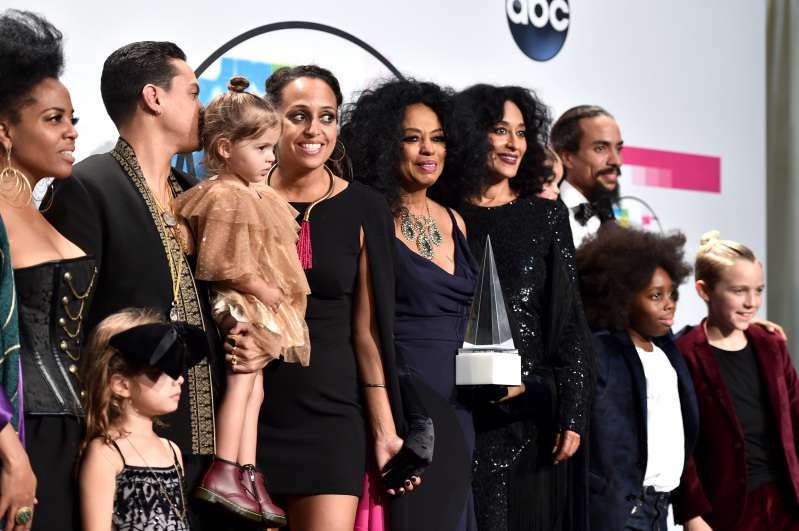 Last year, Diana’s grandkids stole the show at American Music Awards as they took over the stage, dancing to Ross’ hits. The singer received the Lifetime Achievement Award, and her whole family was able to be there to present the special trophy to her. We are looking forward to seeing the new generation of the Rosses making their own steps in the showbiz world.